I really didn’t have time to make a meal for the week on Sunday, so here it was on Tuesday and I still had nothing. I decided that I would throw caution to the wind and make myself something that I would enjoy and not worry about how healthy it was. Naturally, my meal would have to include chips, so I decided I would make a taco dip. This is a really easy thing to make. 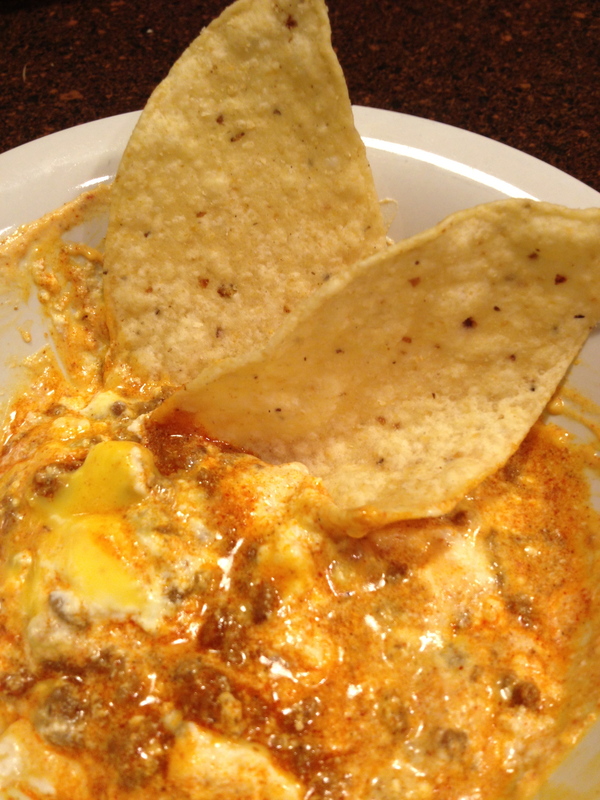 When it was done, it reminded me of Bob Armstrong dip from Matt’s, but without the guacamole. I may have to stop by and get some guacamole from the store to add to my dip when I eat it again tonight! Brown the ground round and add taco seasoning, follow directions on the bag. 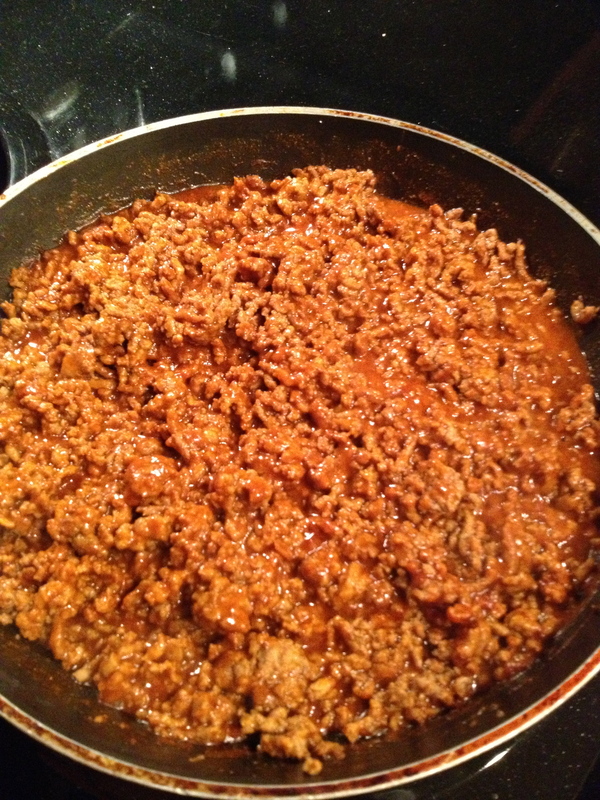 Put the taco meat in a casserole dish. Layer sour cream on the taco meat. 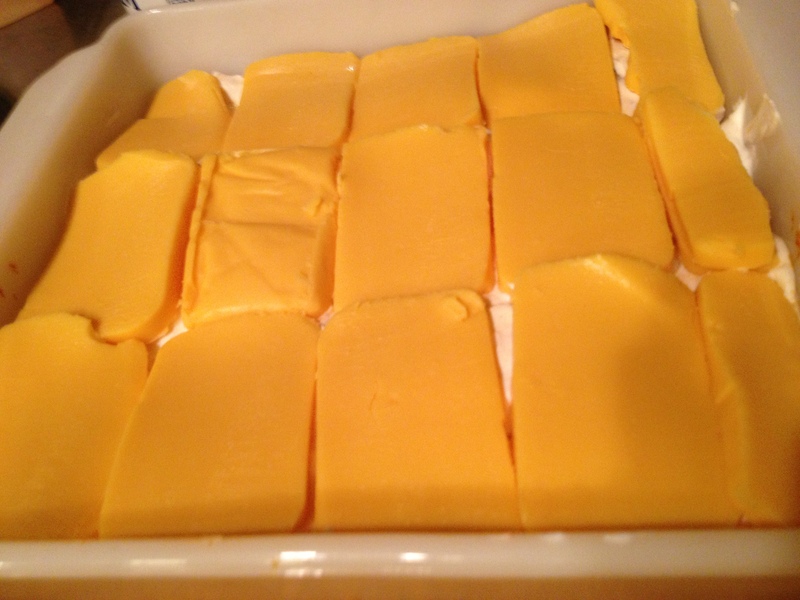 Layer slices of velveeta cheese on top of the sour cream. Put in the oven at 375 for about 10 minutes or until cheese is melted. Take a scoop of the dip and put it in a bowl. Mix it up and dip your chips! This dip looks dangerously addictive! It really is. I’m pretty sure there will be no leftovers!! You did throw caution to the wind. YUM! if you only use 1lb of hamburger should you only use 1 packet of taco seasoning? also what size baking dish did you use and how much sour cream and velveeta? Looks soo good! can’t wait to try! My aunt makes something similar to this. She also puts in a jar of picante salsa and mixes everything together then bakes it. It is the best! I will have to try that next time!!! How do you avoid your sour cream from curdling? I just cooked it until the cheese melted. The sour cream didn’t curdle. This looks so amazing! Pretty sure I could hurt myself on some of that lol! Can’t wait to make some!!! I hope you liked it!!!! I will have to try that the next time I make this!!! I bet Guacamole would be good in this too! Made this exactly as the recipe called for and it was great! YEA!!! I love it!! I may have to make it again tonight! Yum! Could I make this in a crock pot? I want to bring it to work for a pot luck but am not sure it would be good like that. Thoughts? That’s a great idea! I would make sure to brown the meat first though!! Made this tonight for our Monday night football party. It was a huge hit! Thank you. Delicious! I made this for a party this weekend and it was a huge hit. 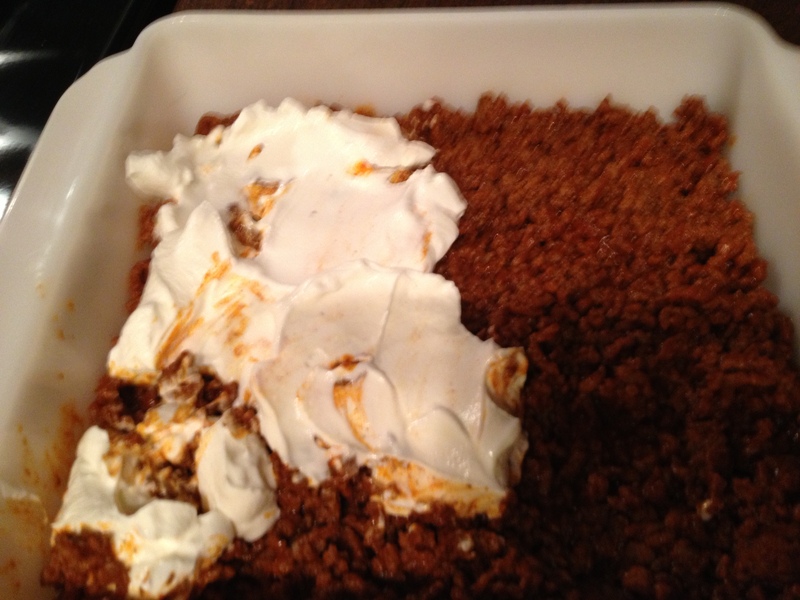 I used 1lb ground beef, 1 taco seasoning, and I mixed some salsa into the sour cream and baked it in a square dish. FABULOUS and so yummy! 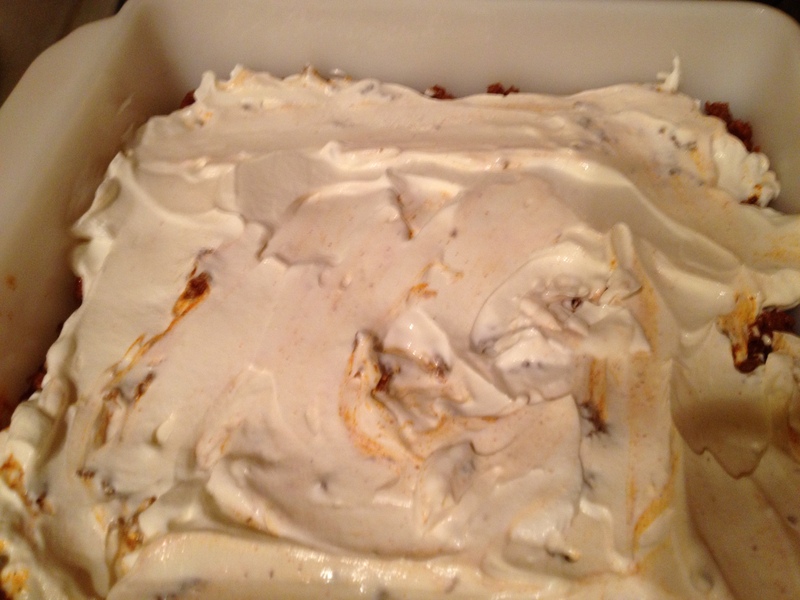 I linked to this recipe on my Facebook page! Could you do this in a crock pot? Brown the hamburger on the stove and then just throw everything into a crock pot and stir it up instead of layering it? I have a goodie day at work and need it to stay warm. I don’t see why not! Let me know how it turned out!! Looks delicious, I’m trying for the Super Bowl! Yes! I eat a little and put it in the fridge for the next day!! 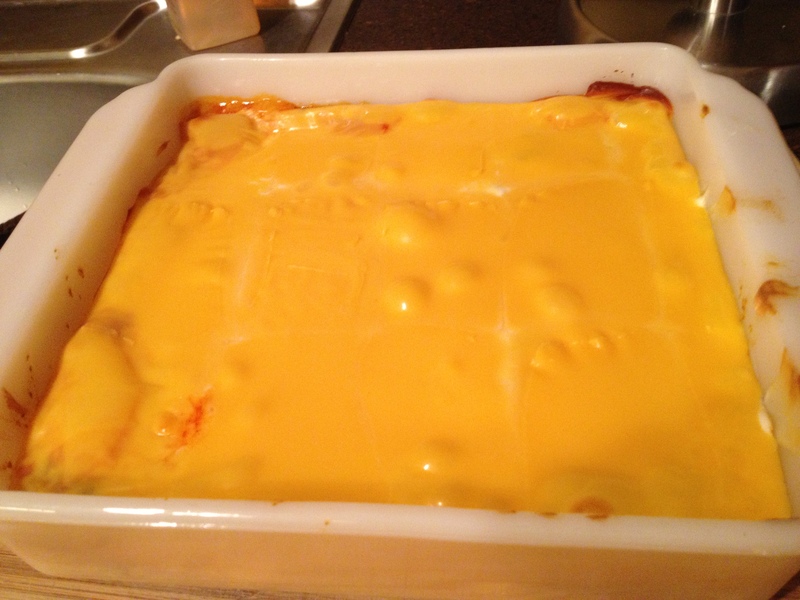 I bet this would be good with some refried beans in it too…like a layer type of dip. Yummy. Just made this for a Friday movie night. Everyone loved it! It was gone within 10 minutes. Thanks! Made this for dinner tonight and served it with homemade guacamole and chips. It was YUMMY!! Thank you!